View cart “Loulou & Yves” has been added to your cart. Yves Saint Laurent (1936-2008) was the most influential designer of his times; possibly also the most neurasthenic. 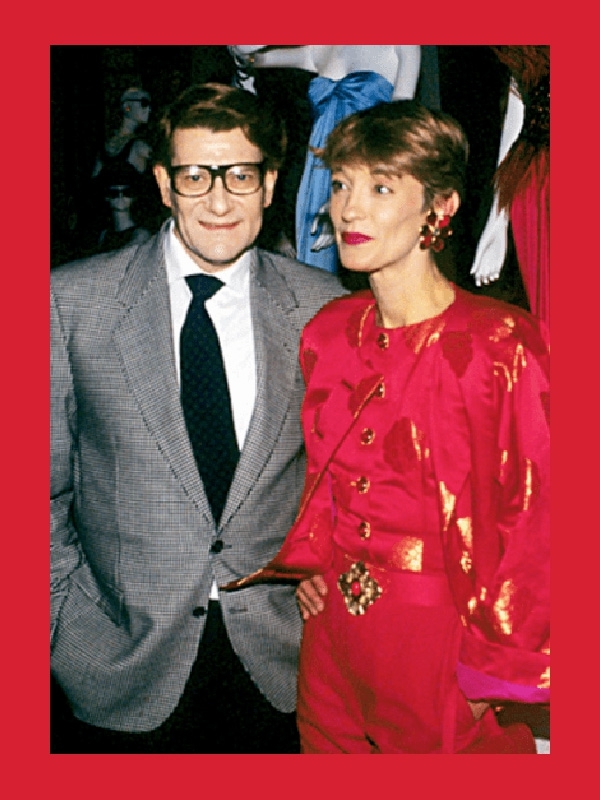 In an exquisitely intimate, sometimes painful personal and professional relationship, Loulou de La Falaise was his creative right hand, muse, alter ego and the virtuoso behind all the devastatingly flamboyant accessories that were a crucial component of the YSL “look.” For thirty years, until his retirement in 2002, Yves relied on Loulou to inspire him with the tilt of her hat, make him laugh and talk him off the ledge–the enchanted formula that brought him from one historic collection to the next. On the theory that everyone loves a cocktail party, Loulou & Yves traces her life chronologically through the charming literary device of oral biography, in which the spoken memories of more than two hundred “voices”–husbands, lovers, extended family, friends, enemies, slightly less bitter detractors, colleagues, groupies, pundits, and hangers-on–are seamlessly interwoven with those of Yves and Loulou themselves. Readers mingle at the party as invited guests, listening in on Andy Warhol and Karl Lagerfeld and collecting clues from Mick Jagger and Tom Ford as the narrative unfolds. Topping the A-list of figures who tell Loulou’s story in their own words, uncensored, are Cecil Beaton, Diana Vreeland, Thadée Klossowski, Robert Mapplethorpe, Helmut Newton, Hubert de Givenchy, Manolo Blahnik, Diane von Furstenberg, Elsa Peretti, Betty Catroux, John Richardson, Alber Elbaz, Christian Louboutin, Grace Coddington, Ben Brantley, Bruce Chatwin, Lady Annabel Goldsmith, André Leon Talley, and Pierre Bergé. 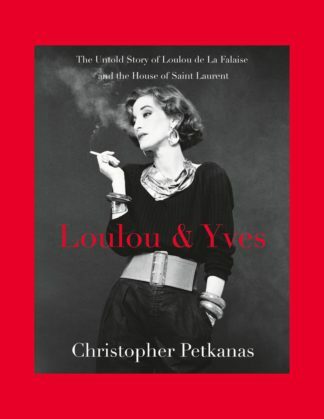 In a fluent round of sparkling conversation, author Christopher Petkanas brings them all together for a party that swirls around one of the most scintillating women the fashion world has ever known.